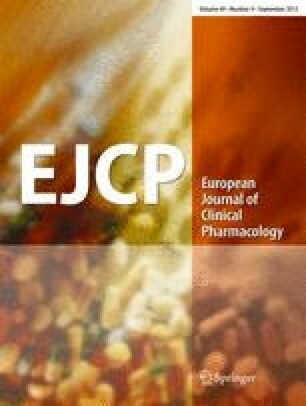 The aims of the study were to assess the correlation between the plasma concentration of ophthalmic timolol and cardiovascular parameters, and the influence of timolol on advanced haemodynamic variables, such as stroke (SI), cardiac (CI) and systemic vascular resistance (SVRI) indices and arterial pulse wave velocity (PWV). Twenty-five glaucoma or ocular hypertensive patients were treated with 0.5% aqueous and 0.1% hydrogel formulations of timolol using a randomised, double-masked, crossover, multicentre design. All the patients were subjected to passive head-up tilt, electrocardiography, exercise test and measurement of plasma concentration of timolol. In the analysis, the data on the two treatments were combined, and the Spearman correlation coefficients between the plasma level of timolol and physiological effects were calculated. During the head-up tilt test before rising the bed up, the resting heart rate (HR; R=−0.52, P=0.001) and PWV (R=−0.34, P=0.04) were inversely correlated with timolol level. In the upright position, ophthalmic timolol effectively suppressed the rise in HR (R=−0.36, P=0.03). The SI did not change with timolol concentration, while CI diminished as timolol concentration rose (R=−0.39, P=0.02). The SVRI correlated with timolol concentration (R=0.38, P=0.02). In the exercise test, correlation between HR and plasma level of timolol steadily grew stronger as the load increased, reaching R=−0.60 (P<0.0001) at the maximum load. Systolic and diastolic arterial pressures were not associated with the timolol concentration. The plasma concentration of ophthalmic timolol correlates with several haemodynamic effects. As HR decreases, SVRI increases and blood pressure is kept unchanged. Study nurse Pirjo Järventausta is acknowledged for the skillful technical assistance. Financial support has been received from Medical Research Fund of Tampere University Hospital.